Getting cross-domain tracking right in Google Analytics is difficult. 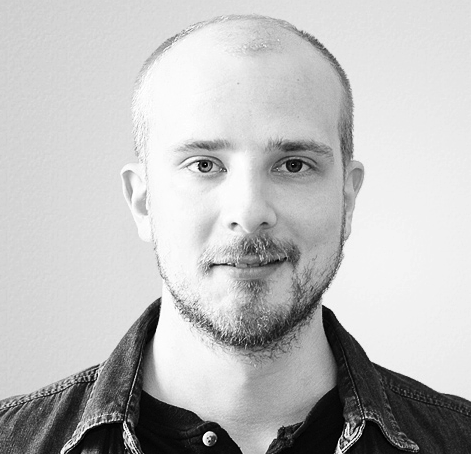 Even if you use Google Tag Manager. 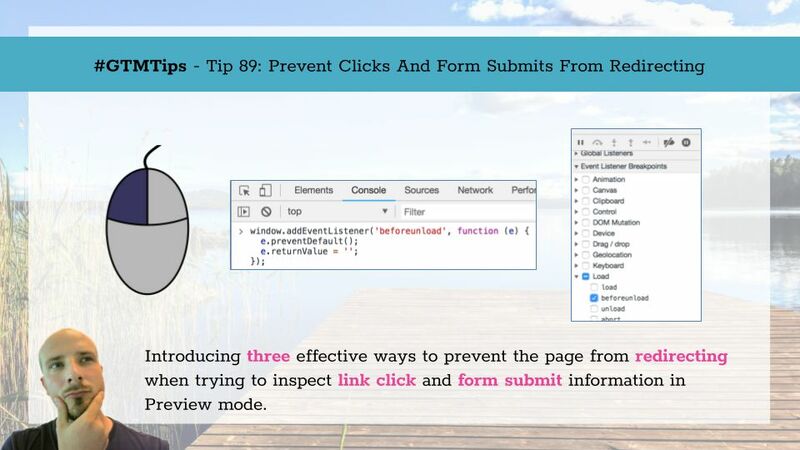 There are many known issues when cross-domain tracking iframes, for example. 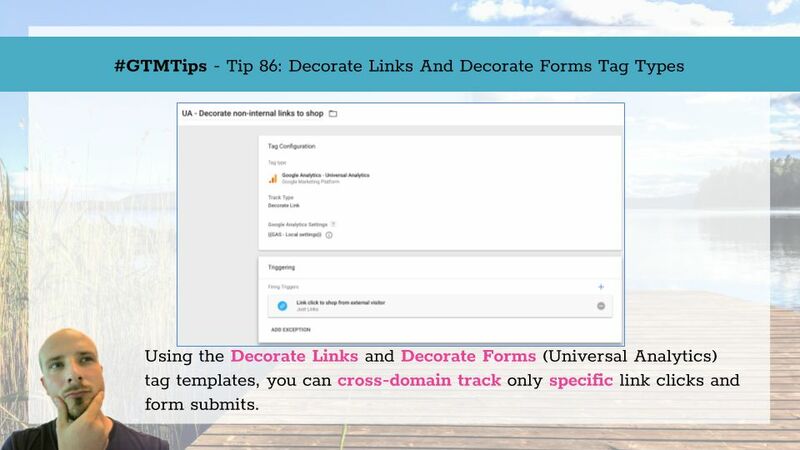 Google Tag Manager implements the cross-domain tracking plugin quite handily via the Universal Analytics tag template, and often the easiest way to track links and form submits is to use the Auto-Link Domains option, as described in this great series of posts on cross-domain tracking by Bounteous. 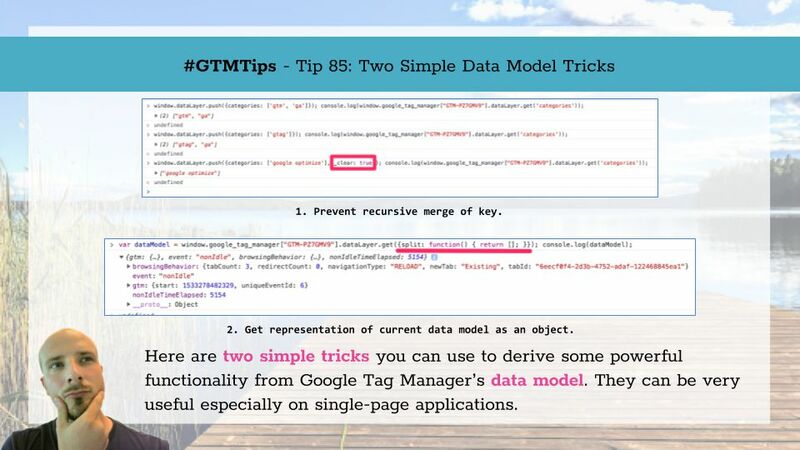 One of the more difficult concepts in Google Tag Manager is the data model. 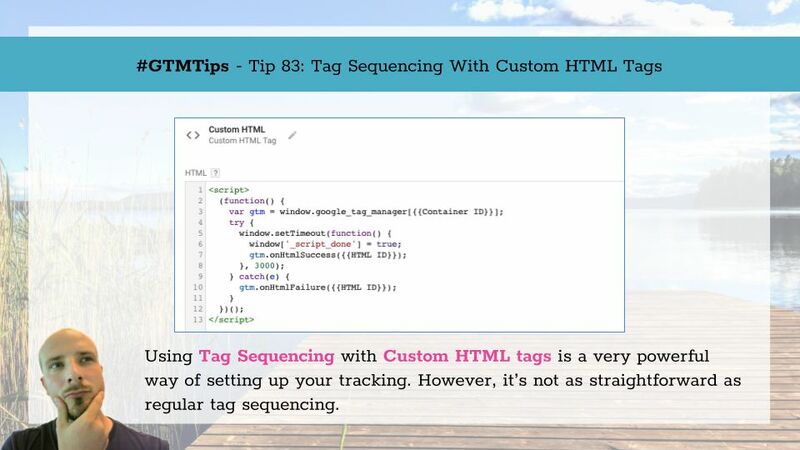 In essence, the data model is what Google Tag Manager uses to populate the Data Layer variable. You might be tempted to think that it’s the same thing as the dataLayer array, but it’s not. The data model is a representation of the keys and values you push into dataLayer. Whenever you push any key into dataLayer, GTM grabs this key and updates the corresponding key in its data model with the new value, or in the case of objects and arrays merges the old and the new value together. 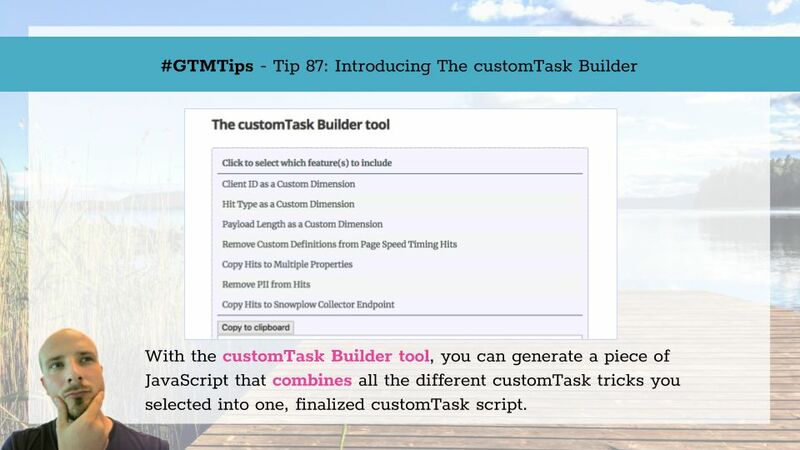 It’s time for a very simple #GTMTips article (I know, I always write that these are simple tips, but then they escalate into complex behemoths). 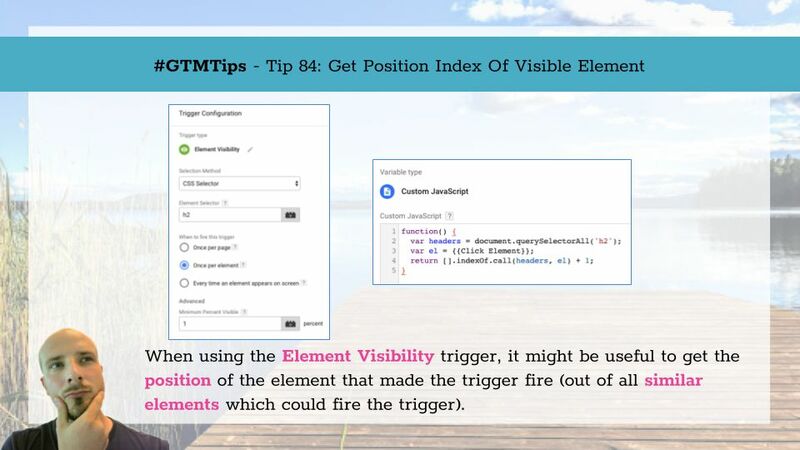 Today, we’ll cover a nifty trick you can use with the Element Visibility trigger in Google Tag Manager. 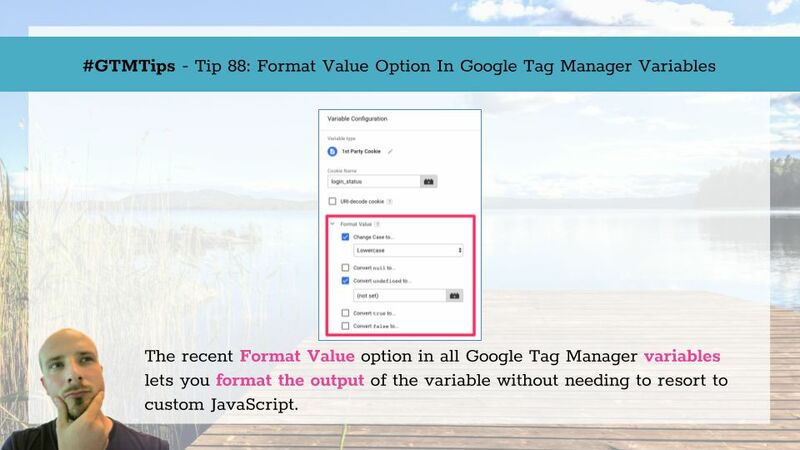 This tip was inspired by a question from Eugen Potlog in the Google Tag Manager Facebook group. The use case is that you have an Element Visibility trigger firing for a number of elements all sharing the same CSS selector.